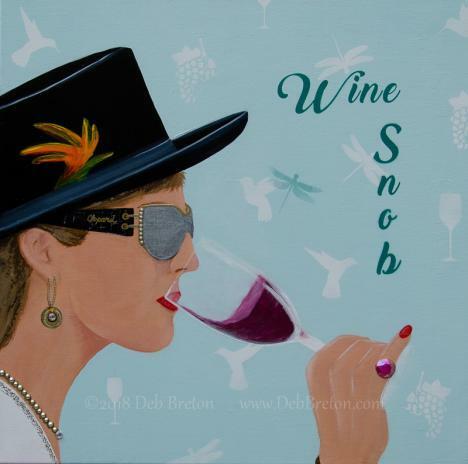 The Rushin’ River - by contemporary wine artist Deb Breton. Wrapped stretched canvas measures 18H x 36W. Party girl in limo escaping to wine country!